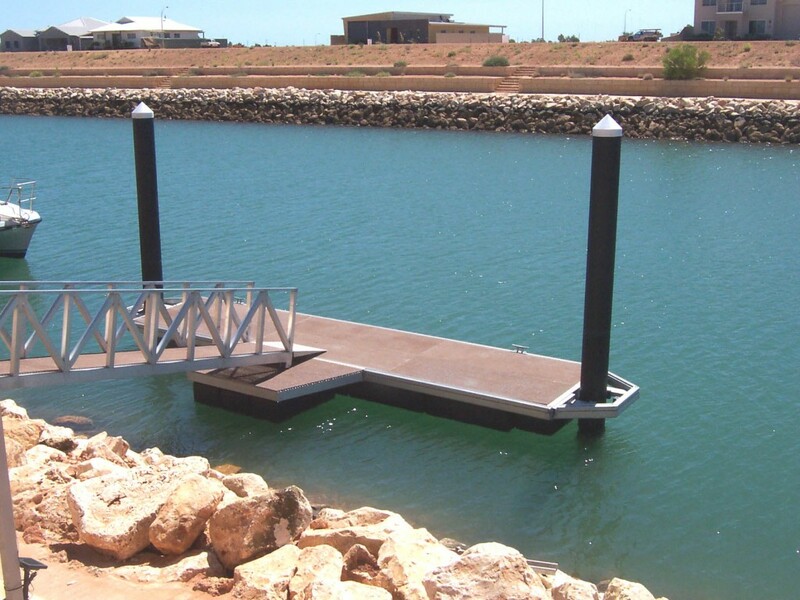 This project involved the supply and installation of an initial five floating jetties to private houses, with more to follow. 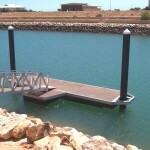 A total of five jetties were installed during a two week period. 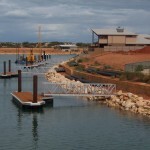 • Use of Mandurah Jetty Construction’s (MJC) own floating jetty design. • Design approved by DPI to category “D” cyclone rating. • MJC’s ability to drill 355 mm piles into the conglomerate limestone sea bed. • In-house fabrication of piles. 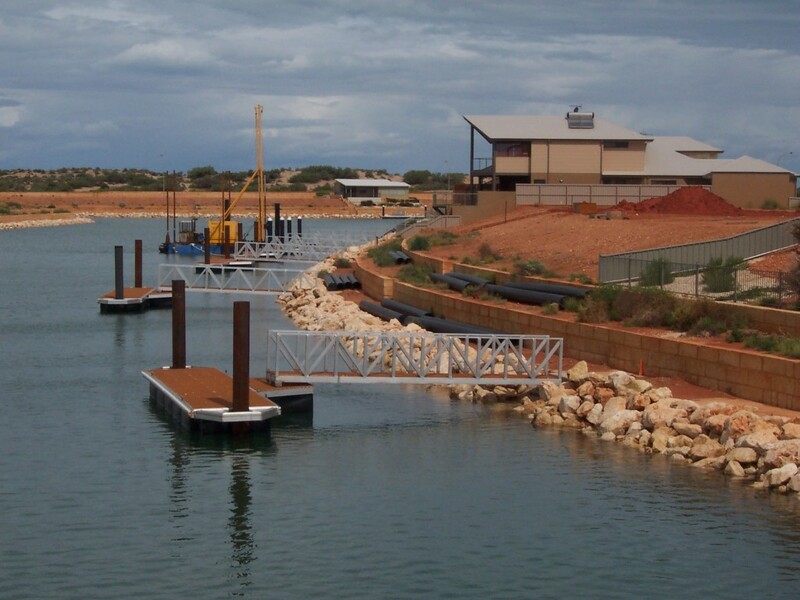 • Efficient transport of prefabricated piles from Perth to Exmouth. • Use of MJC’s local Exmouth depot as a work base. This project was undertaken in an area of high environmental sensitivity. To address this, we established a work process to enable a small amount as possible of hydrocarbons on board the barge and daily refills, spill kits on the barge with back up in the workshop, as well as awareness sessions for the workforce. The footing that holds the gangway is at the top of the rip rap wall. Rip rap rock retaining wall installed too far out into the canal. These rocks had to be removed and they are up to 500kg each. There were also hidden rocks under the concrete path that needed to be removed.